Have You Seen Pelikan's Opaque Space Paint Box? 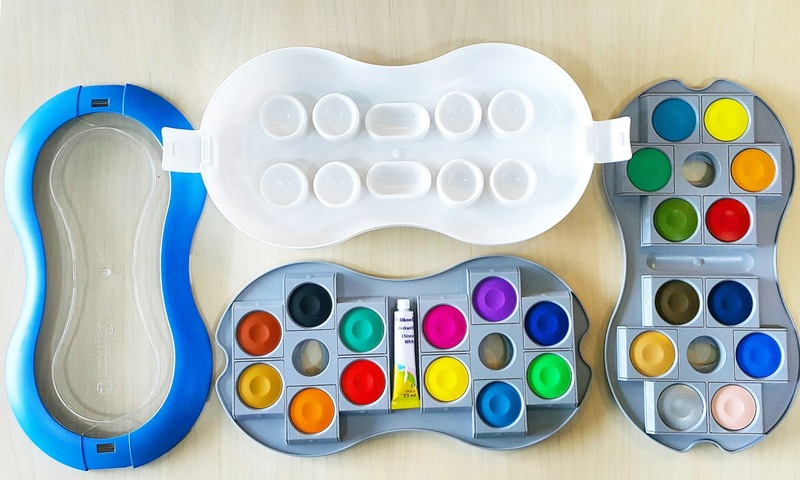 For Painting On the Go! As most of you know, I finally built up the courage to start my own art journaling class. I have always been a 'dear diary' person ever since I was a little girl, and as I grew older, the concept of documenting my thoughts and feelings evolved and it became a journaling. I started art journaling few years back before the journaling trend even picked up in Malaysia. It wasn't easy to look for certain materials that were recommended by some of the artists from overseas. I remember going to our local Popular Book store asking for water brush and the staff just gave me a strange look. To be fair, this was WAY before water brush even made sense in Malaysia. 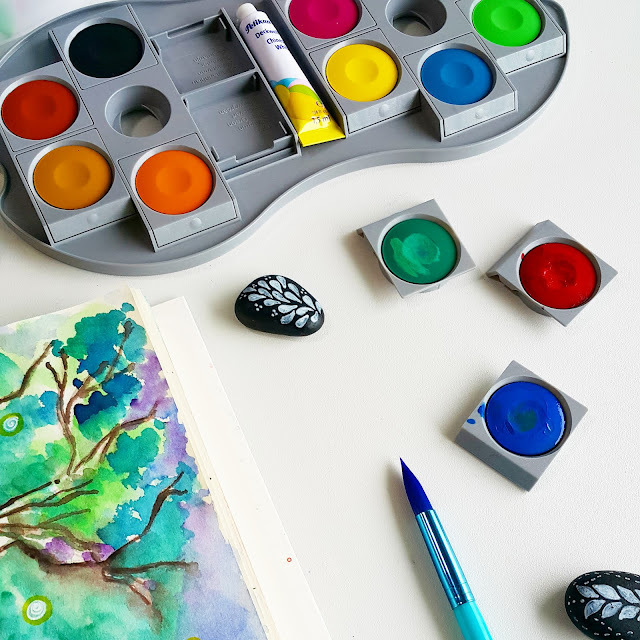 Now that journaling is picking up locally, it is much easier to look for the right art supplies especially the kind that allows you to paint on the go. 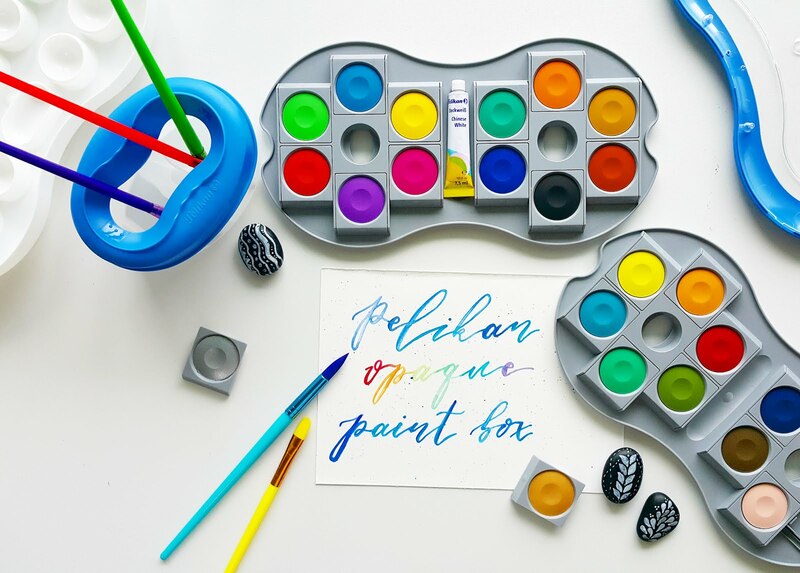 Speaking of which, have you seen Pelikan's opaque space paint box? - The space paintbox that I have is a 2-tier 24 quality paints. - The paints may be opaque based but it works just like watercolour except that colours are much more deep and richer. - The colour white comes in a tube which is easy for colour mixing and blending. - Colours are refillable and can be purchased at the Pelikan boutique in The Gardens MidValley Mall, Kuala Lumpur. 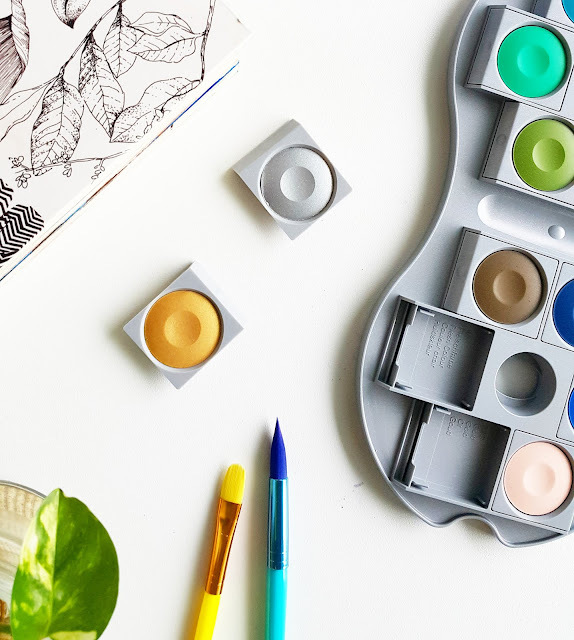 - It comes with an additional space for blending your colours at the bottom of the colour palettes. Easy to clean too! - Pelikan space paintbox even includes a gold and silver paint for brilliant painting. Certainly useful for brush lettering! - The paintbox is space-saving and secure. It is packed with a travel case and removable lid that is easy to open and close. That means you can put it in your bag and bring along with you. Spill-free! - Did I mention it is perfect for children and adults? 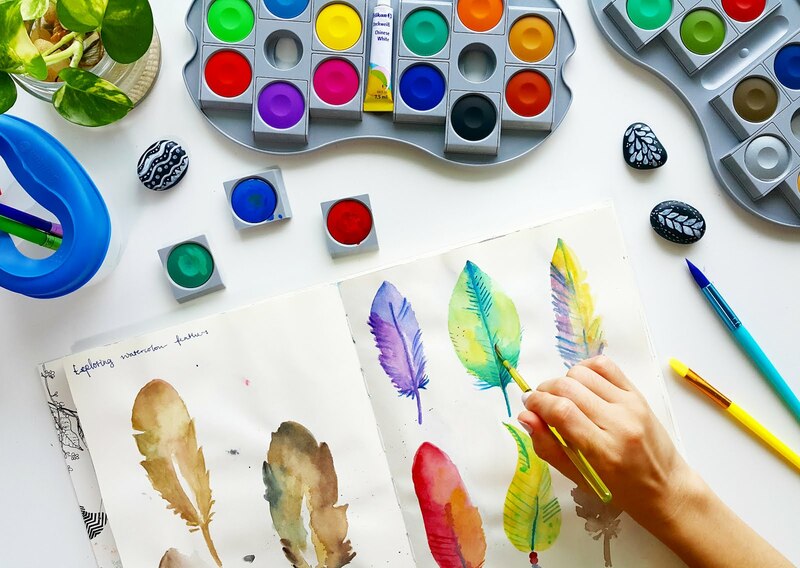 Tip: For kids, just include a water brush and a sketch pad and you can let your kids paint anywhere. 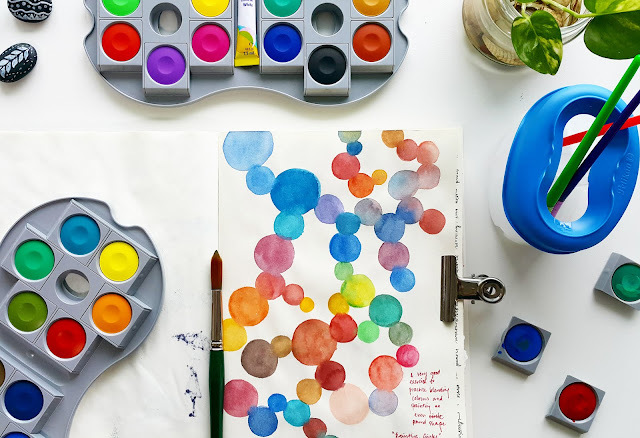 For adults, this palette will be perfect for your travel journaling needs or even at home especially when you don't feel like taking out the palette and paint tubes. Head on over to Pelikan's flagship store in The Gardens MidValley Mall, Kuala Lumpur and check it out for yourself. 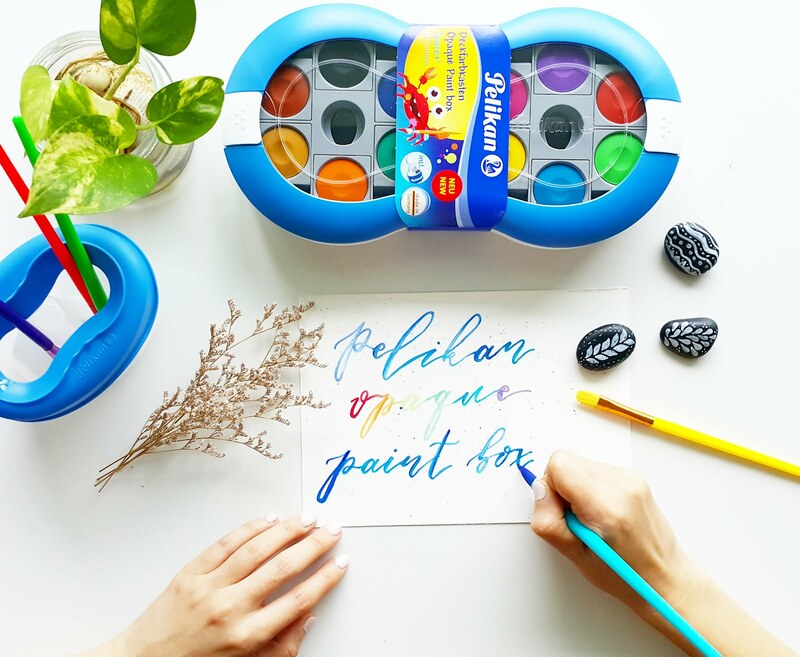 In the meantime, make sure you look out for our next post on Pelikan's all-new brush markers! There is a 30% discount at the Pelikan boutique. Valid until 2 January 2017.